This is the mindset I see the most in my clients, followers and friends….it's dangerous. 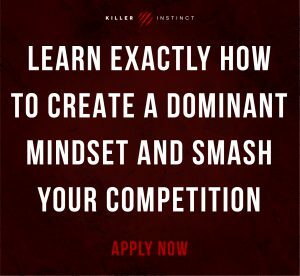 Listen to the last part of the weak mindset series, and check out the solution on how to overcome these weaknesses and take on the mindset of the most dominant athletes and high performers in the world. (31:08) What the winners do. (35:57) You must develop a mindset like the greats do.